Pebbles from Carmichael, California recently had her house cleaned from You've Got MAIDS of Sacramento. She gave us a 9/10 rating. Even better is the perfect 10 we got in the kitchen! Nervous about people coming into your home? Pebbles writes that our maids "are very nice". Here's a few nice things our customers in Sacramento You’ve Got MAIDS® have to say about us: friendly professional team, hard workers, goes the extra mile, safe, do a great job, great service. Thank you Sacramento! 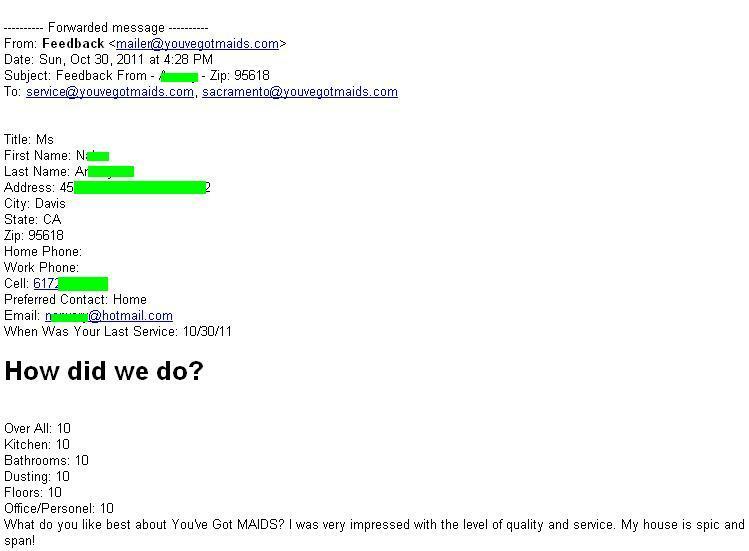 Maid Service Review For The Sacramento You've Got MAIDS! Sacramento, California - Here's an example of a review one of our extremely happy and satisfied customers. You can be like this! You can have this happiness! We literally guarantee it. Great Feedback From An Elk Grove Move Out Clean! House Cleaning Review For The Sacramento You've Got MAIDS! 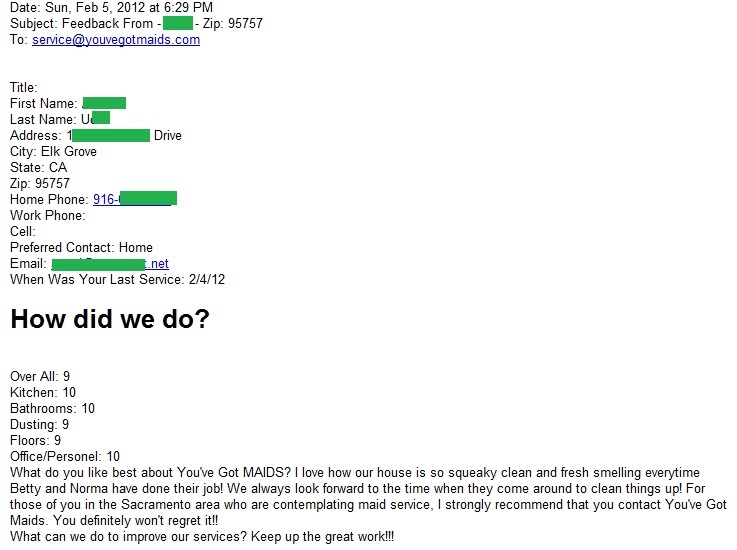 Outstanding Feedback From A Sacramento House Cleaning Customer! 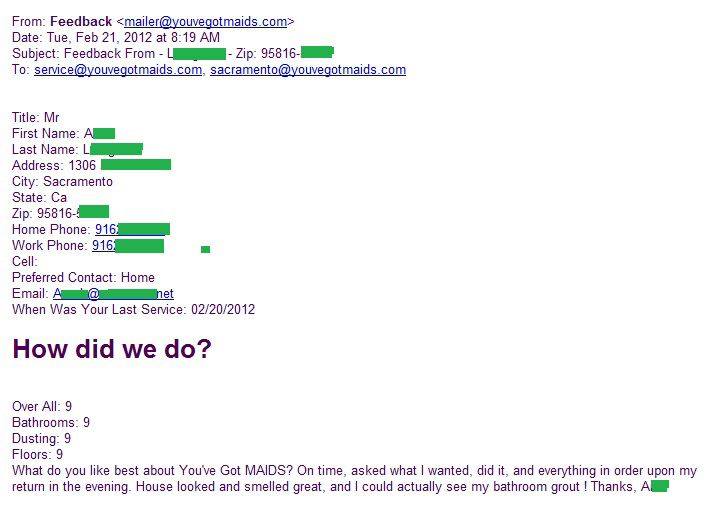 Congratulations to You've Got MAIDS of Sacramento on this glowing Citrus Heights maid service house cleaning review.